We stand on the shoulders of generations of faithful men and women who have called St. Andrew’s home for almost 200 years. The change this country has navigated in those two centuries is almost unimaginable. And yet, the men and women of this church rose to meet every challenge they faced. Similarly, in our day, we are witnessing a profound cultural revolution – a revolution on par with some of the most colossal in history. There are many causes for this profound change, but one that must not be overlooked, particularly for churches, is what sociologists have come to describe as secularism. Simply stated, secularism is the emptying of God from the public spaces; leaving many of our friends and family members to wrestle with the issues of life without recourse to God. In the face of rising cultural secularism some churches/leaders are advocating a retreat from the public square, effectively abandoning their public witness, and turning their churches into enclaves protecting them from this cultural shift. This has not been our approach at St. Andrew’s nor will it be our approach. We believe that even in these challenging times the offer of the Lord Jesus has not grown weary, neither has the Gospel lost its power. In fact, we believe that this is our kairos moment, our moment of divinely given opportunity. For the better part of the last decade the leadership of St. Andrew’s has been studying and praying about how we grow the kingdom – how we best connect people to the presence and power of Jesus Christ. We gathered data. We explored options. We listened to the thoughts of many folks inside and outside St. Andrew’s. All the while our ministries were expanding and our impact was growing. The culmination of this process was the decision to launch a capital campaign, planning for the next 25 years of mission and ministry. We are calling our campaign, Imagine 2040. Today, I want to update you on our status. Presenting our vision for St. Andrew’s for the next 25 years. You can listen to that sermon here. Developing (and continuing to develop) videos highlighting the breadth and depth of ministry offerings that have shaped our church and equipped our members to live the Christian life. It is through our ministry growth and expansion that we will further our mission and grow the kingdom. Establishing a leadership team to direct and oversee our work. This leadership team is comprised of people from across the spectrum of St. Andrew’s. We have secured Beau Clowney Architects and Building God’s Way as our architects. We have secured Fred Reinhard as our Owner’s Representative. We have secured Hill Construction as our contractor. We have secured Thomas & Hutton as our civil engineers. We have secured Dale Watson as our design illustrator. We have designated Lewis Middleton as the contact person for the Imagine 2040 You may contact him at any time for an up-to-date status report. We have held an informational meeting for all of the previous Senior Wardens of our Vestry to cast the vision and seek their input and garner their support. We have held an informational meeting for our LifeGroup leaders to both present our ideas and solicit their input and support. We have held neighborhood meetings for our immediate neighbors whose lives will be directly impacted by our building project. We have appeared before the Mt. Pleasant Board of Zoning Appeals to present our conceptual plan and to gain the variances needed to proceed. We have had an initial meeting with the Old Village Historic District Commission to present our conceptual plan and solicit their input. We will appear before the Old Village Historic District Commission for their approval in August. Working with our architects we will develop construction documents for our project. With the plans and documents completed and approved we will be able to formally kick off Imagine 2040 this fall and present to you the full scope of the project and invite your participation. We will continue to keep you informed with a campaign newsletter. We will establish a website dedicated to the ongoing campaign providing you regular updates of our project. You will continue to hear more details about our plans to meet our calling over the coming months. What I want you to take away is that our efforts are ultimately focused on growing the kingdom – about deepening faith, about equipping people to be a witness wherever they are called – whether that’s their neighborhood, their workplace, in a church plant, or an international mission field. Please pray about your part in this project that will have global impact. I invite you see this moment of divine opportunity and to put your hand to the plough with other members of this church and labor in Christ’s harvest field. This is our time to rise to the challenge of sowing the seed of the Kingdom of God in our community and the world. I write you with an amazing two-fold opportunity. Beginning Monday, September 14, we will kick-off The Alpha Course at St. Andrew’s. Over the past 20 years 5000+ people have participated in an Alpha Course at St. Andrew’s. And, as Alpha is a global phenomenon, over 15,000,000 people have participated in the course from every country and culture on the face of the planet. It has been a primary means by which the Spirit has grown and deepened our relationships with God and with one another here at St. Andrew’s. What happens on The Alpha Course? Over a 9-week period you will have the opportunity to explore the foundational teachings of Jesus Christ and to ask your questions of faith and spirituality. Unlike “programs” which simply seek to present a body of information, Alpha is geared toward the development of relationships – you relationship with God and with other people who are asking the same kinds of questions that you are asking. How do we deal with the problem of evil and suffering? You will then have an opportunity to meet in small groups for discussion – discovering with others the joy and security of a living faith grounded in Christ. Back to my initial statement: you have an amazing two-fold opportunity before you. First, God means for you to be sure of your faith in Christ. Sure that it has relevancy for today, sure that He is with you, and sure that your faith in Christ will see you through this life. One of the saddest things I’ve seen as a priest/bishop are folks who gave insufficient attention to their spiritual health and then were surprised when trials and suffering befall them and their faith faltered. If you would like to register for the Alpha course visit AlphaCharleston.com. Secondly, over the past decade we have asked our new members why/how they came to St. Andrew’s. 80% of them said it was because a family member, friend, work colleague, or neighbor invited them to come to St. Andrew’s. 80%! God has placed into your hands the privilege and responsibility of sharing the Gospel message. The Apostle Paul wrote in Romans 10: “How then will they call on him in whom they have not believed? And how are they to believe in him of whom they have never heard? And how are they to hear without someone preaching? And how are they to preach unless they are sent?” Quite literally, you are the one sent – sent to your families, sent to your colleagues and classmates, sent into the community to announce that God, in Christ, has come. And, what I want to do is to partner with you to reach your family and friends with the good news of Jesus Christ – you invite and we’ll present. So, will you join me? Will you join me Monday night, September 14, as we together explore how our faith in Christ might deepen? Will you extend the wonderful, biblical, grace-filled invitation to “come and see” to the people in your world who are disconnected from Christ? Surely you have watched with me through the night and into the day the violent and evil act committed at Emanuel AME Church in Charleston last night. And, I’m sure that your heart is rent for the families – and church family – of the victims. For some of you this will be one more disconnected and sad event played out on your television screens and internet. For many others it will be personal as it is your friends who are personally affected. It is right that you feel sickened and angry. It is right that you struggle to know what to do. We all do. Scripture tells us that in the diminishment or suffering of one, the whole church suffers. We are enjoined to weep with those who weep and to mourn with those who mourn. Today, we mourn and we weep with our brothers and sisters at Mother Emanuel and all of Charleston. I had the opportunity to speak with a number of African American church leaders and individuals and in particular Bishops Al Gadsden and William White, fellow ACNA bishops in the Reformed Episcopal Church. Their pain was palpable and multiplied as they must also to minister to an REC priest whose wife was killed in the shooting. In a separate heart-rending conversation, one elderly African American man told me he felt like the clock had been turned back 50 years. It is difficult for me to process the pain and sadness of those who have lost loved ones in such a violent manner. Many priests, lay persons and friends from across the area and the country have contacted me wondering how to respond in a meaningful way. Some will have gathered at Morris Brown AME Church for the prayer vigil this afternoon. Others will be gathering at The Cathedral Church of St. Luke and St. Paul for prayer. We, St. Andrew’s and the Diocese of the Carolinas, will seek God’s face for wisdom and discernment as we seek to respond and act as agents of hope and reconciliation. In these times one may ask, where is God? And the reply is, on the cross. For there he demonstrated once and for all his love for this sinful and broken world and he has promised us that he has not – nor will he – abandon His world. I am thrilled to announce that we are bringing our New Wine Conference back to St. Andrew’s April 14-16, 2016! New Wine is an opportunity for the St. Andrew’s family along with other friends from many other congregations to gather in an encouraging environment to get recharged and refreshed in our faith. Our time together with revolve around worship, Word and ministry. Our theme this year is, God’s Empowering Presence and I am pleased to announce that Sam Storms has agreed to be our speaker. Sam is currently the Lead Pastor for Preaching and Vision at Bridgeway Church in Oklahoma City. Sam is on the board of both Desiring God and Bethlehem College & Seminary, and also serves as a member of the Council of The Gospel Coalition. 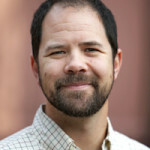 Previously, Sam has also served as the President of Grace Training Center at Metro Christian Fellowship in Kansas City, and as associate professor of theology at Wheaton College. Sam has also established Enjoying God Ministries, which serves the larger church. Many of you will be familiar with Sam through his books, several of which we stock in our bookstore, Common Grounds. Whether you attend by yourself, with your friends or your family, you need to be here. While the conference is held at St. Andrew’s we expect folks from churches across the region to participate. Our last New Wine Conference had folks from 27 different churches participating! Everyday will begin in and end with times of extended worship led by praise team members from across our community. You will have many opportunities to hear His Word. Each day begins and ends with a plenary session. In between there will multiple breakout sessions offered. These sessions will be led by a variety of gifted Christian leaders. At New Wine, you will have opportunities to experience the presence and power of the Holy Spirit. There are regularly scheduled times and trained ministry teams to lead people into times of healing, equipping and release. Is There Anything for Youth and Children? Grab a coffee or water and come on over to the youth venue for worship, talks and small groups – but most importantly lots of space to meet God. An action-packed program of worship, talks, discussion groups, seminars, crazy games, and all the other usual New Wine madness! a fun-filled weekend that includes great teaching, crazy games, arty crafts, plus the chance to make new friends and catch up with old ones. We’ll have more details soon about registration rates and we’ll let you know when registration opens. I hope that you’ll join Jacqui and me for a great family weekend! It was late 2008 and two St. Andrew’s members, Dr. Edward O’Bryan and Matt Alexander, had just finished surfing at Folly Beach. Their conversation over lunch began questioning how to live out faith through service and action (1 John 3:18). The conversation continued to include healthcare and how to meet health needs of people living in the world’s poorest nations. But they wanted more than a simple, short-term relief approach. As a result of this conversation and through the support of St. Andrew’s Church, 24 volunteers from the lowcountry traveled to Masindi, Uganda to deliver medical care through makeshift clinic sites in churches, schools, and abandoned buildings in March 2009. Through that trip, the desperate need for basic healthcare was confirmed and Palmetto Medical Initiative (PMI) was born with the mission to provide quality, affordable healthcare to people in need. The next step was to begin planning for what would become the organization’s pilot project, the Masindi Kitara Medical Centre (MKMC). PMI’s approach has produced powerful results. The organization opened the first-phase of the MKMC in January of 2011 and within 13 months it became 100% financially self-sustaining. Today, that project has now grown into a regional referral hospital, staffed by more than 50 full-time Ugandan medical and administrative staff, who provide care to approximately 1500 patients per month. And, most importantly, they are covering all of their costs in doing so. To date, PMI has provided medical care to more than 100,000 patients through MKMC and additional projects in Uganda, Nicaragua and Burundi. To support the local projects and staff, the organization has also sent nearly 1200 US medical volunteers to participate in training and delivery of care. PMI has also been blessed to develop partnerships across different sectors and geographical areas as people become aware of the sustainable impact being achieved. As excited as we are about all that God has done, we’re even more excited about what He has in store. Our goal over the next five years is to add to our existing projects and produce 20 health centers serving communities in East Africa and Central America by the year 2020. Whether through prayer, financial support or joining us on a trip, we would love to have you join us on that journey. Besides being one of my favorite Collects, the words bring back memories of a particular quiet day at my seminary while I was a first-year student. Typically, quiet days followed a pattern of three meditative talks, morning, noon and late afternoon. A faculty member normally gave the talks and they served as the basis of personal reflection throughout the day. On this day, at the end of his morning reflection, the faculty member closed his talk with this Collect. A classmate of mine, newer to Anglicanism and unfamiliar with the Book of Common Prayer, understood the prayer to be an instruction that we were to read the Gospel of Mark and give careful consideration to what he had read. Three times that day the faculty member would use this Collect at the close of his talk. And, three times my classmate would go off, read the Gospel of Mark, and give consideration to what he had read. The next day when he found out that his unfamiliarity with the Collect had led to a misunderstanding he was embarrassed. I would suggest that his day, out of all of our days, was most profitably spent. All three books will be available in Common Grounds at the usual discounted price. I look forward to our time of Spirit-inspired study and prayerful consideration of God’s Word. As many of you will know I am just home from the Anglican Church in America’s electing conclave, Provincial Council and Assembly. Thank you for your prayers. As a bishop in the church I joined with 50 of my colleagues for 3 ½ days of prayer and conversation as we sought to discern the Lord’s will as to who would succeed Archbishop Bob Duncan. I wish I could tell you more of our time together – I wish I could tell my kids of our time together. It was rich. It was honest. We clearly saw the Spirit bring us to a profound unity. And, the consequence was the unanimous election of +Foley Beach, the Bishop of the Diocese of the South, as our next Archbishop. We did, though covenant with one other to keep the details of our time together private amongst ourselves – a commitment I believe which allowed the depth and honesty of our conversations to unfold and ultimately bear fruit. The days following saw the genuine enthusiasm of the wider church gathered as we both conducted the necessary business of the church and were fed by some of the finest teaching I’ve encountered. One of the highlights of the week was Archbishop Bob’s report to the Provincial Council in which he noted the various signs of our growing Province’s maturation. Spiritually, ++Bob noted that in these past five years we have seen the development of liturgical texts to assist our congregations in the deepening of their spiritual lives. Additionally, we have developed a catechism to assist our congregations in Christian formation. The fruit of these efforts? The fruit of the Spirit’s life and ministry in our churches? ++Bob reported to us the overwhelming news that in in the past 5 years we have planted almost 500 congregations! And, in the past year we have seen over 3000 conversions to Jesus Christ and a 13% increase in membership. Incredible! Lastly, in his first sermon as Archbishop at the closing Communion service, ++Foley presented a challenge to the church. Noting that Christ’s command was to go and make “disciples” (not Christians and certainly not Anglicans) he commended to every delegate – and I would say to every member of the ACNA – that over the next year we each befriend one person who does not know or follow Jesus. And, as our friendship with this person grows we commit ourselves to praying for that person and to sharing our faith with that person. Additionally, ++Foley suggested that each person come along side one younger believer for the purpose of encouragement and discipleship. Two very good suggestions, I think. And so I commend his encouragements to you, my St. Andrew’s family. Develop a friendship with someone who does not name the Name of Christ and in the course of your friendship, undergirded by prayer, gently share what Christ has done in your life. Come along side a younger believer and encourage them. Walk with them. Teach them what it means to be a disciple. As summer settles in the staff along with the vestry review the previous year and begin the process of prayerfully outlining the next ministry year and then seek to discern the budget. As a part of our process we evaluate every dimension of our life at St. Andrew’s. This year’s end-of-ministry year also involved the search for a Men’s Ministry leader who would build upon the good work Kurtz Smith did these past seven years. Biblically and theologically astute. I wanted someone well grounded in Scripture and able to communicate the full counsel of Scripture, applying it faithfully to the lives of the men in our parish. I wanted someone who is also grounded in theology, understanding how the faith has been understood and worked out throughout the centuries and able to draw against that knowledge to minister to our men. Relationally-minded. I wanted someone who has as a priority and chief value the development and deepening of the relationships of our men within the parish. Experienced. I wanted someone with a proven track record. I wanted someone with ministry experience and a demonstrable record of initiating, building and leading a ministry. A team-builder. I wanted someone who can build and lead a team; someone who is good at delegating responsibility while maintaining overall oversight and ongoing coaching for the various leaders. As I interviewed the potential candidates it became clear to me that we already had the best-suited candidate on our staff, The Rev’d Brian Morgan. In his eight years with us as one of our priests, Brian has had responsibility for our LifeGroups, Pre-marital process and our Marriage Ministry. As the LifeGroup Ministry Leader Brian inherited a ministry with 15 LifeGroups and he has grown that ministry to over 90 LifeGroups. He developed a new LifeGroup Leader recruiting and training process, a coaching/huddle structure for existing LifeGroups, and worked with Men’s and Women’s Ministry Leaders (Kurtz and Cassie) to recruit, train and coach their leaders. Brian also worked with City Church to launch their LifeGroups. As the Ministry Leader for our Pre-marital and Marriage Ministries, Brian had responsibility to create something that did not exist prior to his arrival. And again, he has demonstrated substantial fruit. On average we have 50 weddings a year at St. Andrew’s. Brian developed a six-session pre-marital process (cumulatively, that is 300 pre-martial sessions every year) which also involved recruiting and training 70 laymen and women to serve as pre-martial – and then marital – mentors to our couples. Hand-in-hand with his pre-marital work, Brian also implemented the Marriage Course at St. Andrew’s which has had just over 700 participants. In all of these ministry responsibilities a clear pattern has emerged; Brian has been able to cast a vision, recruit and train to that vision, and then release those leaders to lead with him supplying ongoing coaching and encouragement. One afternoon after I spoke to the clergy about the leadership transition to take place in Men’s Ministry, Brian asked me if he “could have a shot” at the leadership position. In our conversation I discovered another dimension of leadership that he possessed of which I was not aware, Brian is a graduate of NOLS, National Outdoor Leadership School (he was a wilderness backpacking guide, a whitewater rafting guide and a caving guide), – the leader in wilderness education – complementing nicely the robust outdoor ministry that our Men’s Ministry has developed. Quite honestly, I liked Brian’s enthusiasm, I liked his initiative and I’ve seen the fruit that he has produced these past eight years. And so, It is with great pleasure that I announce that The Rev’d Brian Morgan will be assuming leadership of Men’s Ministry at St. Andrew’s! As a part of this move Brian will also be moving his office from the 3rd floor of the Ministry Center to the current Men’s Ministry office, upstairs in Caitlyn Annex. The second staffing change I’d like to announce is that with Brian assuming Men’s Ministry he will hand-over LifeGroup leadership to Drew Miller. In this role Drew will oversee all LifeGroups across the St. Andrew’s spectrum. Drew is a part of the leadership team at City Church and he currently assists The Rev’d Todd Simonis in a variety of aspects on Sunday mornings at City Church. Additionally, as a LifeGroup leader, Drew has grown and reproduced his LifeGroup three times, raised up multiple leaders and is the coach of 5 different LifeGroups at City Church. In addition to these volunteer ministry positions, Drew has served on the staff at St. Andrew’s for the past year as the Administrative Assistant to the Assistant clergy. He has a broad background in ministry having served previously as an intern under The Rev’d Mark Cooke at a parish in New Bern, NC. Drew is a 2011 graduate of Furman University with a degree in sociology. I am delighted to share with you very good news. After months of prayer, discussion, and work Trinity School for Ministry announced last night that they have entered into a formal partnership with The Ridley Institute to advance the Christian faith in the Charleston area. I’ve posted the announcement in full below. 1. We aim to develop men and women in the Christian faith so that they might live distinctively Christian lives in the home, marketplace and social networks of their lives. 2. We aim to develop, equip and send out church planters for the purpose of re-evangelizing our society and transforming our culture with the gospel message. 3. Finally, we have an aim to offer degreed course work so that men and women seeking full-time Christian ministry might be effectively formed by the doctrines of grace and released into ministry. While the overwhelming majority of our participants are members of St. Andrew’s, we do have students that drive from as far away as Columbia, Beaufort and Myrtle Beach to participate in our school as well as a host of local churches that send their staff and leaders to be trained at our school of theology. In addition to this, we have churches throughout the Carolinas, across the country, as well as far-flung locales such as Australia, Canada, Chile, England, and Kenya asking how they can participate in this theological training. The Lord has clearly given us something that has been a blessing to St. Andrew’s with the potential to be a blessing well beyond the walls of St. Andrew’s. The Ridley Institute seeks to instill in the hearts of our participants the same passion for the Gospel and Biblical truth that lit the fire of the Anglican Reformation. 1. Participate in the Learner’s Track: Twice a year the Ridley Institute will offer 8-week introductory courses in Theology aimed at the man or woman in the pew. Folks in this track will, over 2-years, participate in our core courses: Biblical Theology, Systematic Theology, Worldview, and the Christian Life. Each evening includes lecture, small group time and a follow-up question and answer time with the lecturer. Four Core Courses: Biblical Theology, Systematic Theology, Worldview, Spirituality. Leadership Training: Intro to Christian Leadership, Leading for Influence in the Marketplace. Ministry Experience: Participants will receive real world ministry experience by participating in evangelistic and prayer initiatives of St. Andrew’s. Learning Huddle: Each participant will be expected to participate in a Learning Huddle for theological reflection and prayer. 3. Participate in the Master of Arts in Religion: Because of this new partnership with Trinity, students can take classes towards a Master of Arts in Religion degree within a cohort located at the Ridley Institute. Courses will be taught by Trinity’s expert faculty both in person and online. The first class offered will be Introduction to Old Testament with Dr. Erika Moore. The class will begin with two days of teaching on August 28-30, 2014 and will continue throughout the fall. I hope you share my excitement over the rich and robust development of the adult equipping opportunities offered through The Ridley Institute. More importantly, in the months and years ahead I hope that you will participate in the course offerings so that you might grow wise and deep in your faith. Trinity School for Ministry is pleased to announce a new partnership with the Ridley Institute at St. Andrew’s Church in Mt. Pleasant, SC. With this new partnership, students can take classes towards a Master of Arts in Religion degree within a cohort located at the Ridley Institute. Courses will be taught by Trinity’s expert faculty both in person and online. The first class offered will be Introduction to Old Testament with Dr. Erika Moore. The class will begin with two days of teaching on August 28-30, 2014 and will continue throughout the fall. Registration is now open via Trinity’s website (www.tsm.edu/RidleyInstitute/register). The course is open to anyone who is interested, membership at St. Andrews is not required. The Ridley Institute is a school of theology at St. Andrew’s Church, Mt. Pleasant, SC. The aim of the Ridley Institute is to honor Nicholas Ridley’s dying thought, that through God’s grace his labors and suffering might light a Gospel flame that would never be extinguished. The Institute seeks to spread the flame of the Gospel by recruiting, equipping, and deploying the very finest Christian leaders formed in the Gospel centrality of the Anglican Tradition. Trinity School for Ministry is an evangelical seminary in the Anglican tradition. Begun in 1976, the seminary has trained more than 1,000 graduates and many others who serve in ministries all over the world. As a global center for Christian formation, Trinity continues to produce outstanding leaders who can plant, renew, and grow churches that make disciples of Jesus Christ.